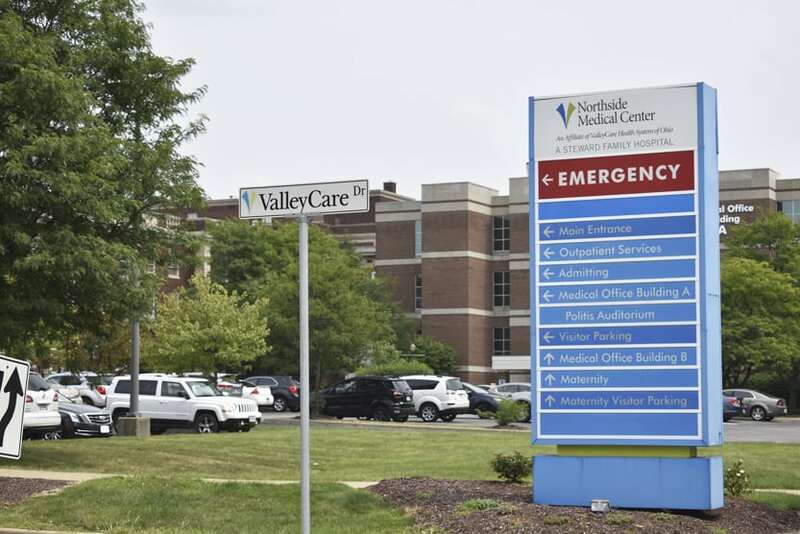 Tribune Chronicle / Renee Fox Steward Health Care announced Wednesday that it is closing Northside Regional Medical Center on the Youngstown / Liberty border on Sept. 20. Both communities expect to take large financial hits. YOUNGSTOWN — Northside Regional Medical Center announced that it will shut its doors on Sept. 20. Besides loss of jobs and medical care options for the area, the closing will cause significant financial pain to both Liberty Township and the city of Youngstown, officials said. The hospital will stop taking ambulances and admissions at its emergency room at 6 p.m. Sept. 17. Employees will be paid by the hospital until Oct. 14. However, it is anticipated that most employees will not be required to work after Sept. 20, when the facility will shut its doors. The hospital at 500 Gypsy Lane sits just inside the Youngstown city limits on the southern border of Liberty Township, with some hospital property in Liberty. The closure will affect at least 388 Steward Health Care System employees who work at the hospital, according to a Worker Adjustment And Retraining Notification (WARN) letter sent by Steward Health Care Systems LLC to Ohio’s Office of Workforce Development. Steward Health Care completed its purchase of Northside Regional Medical Center in May 2017. 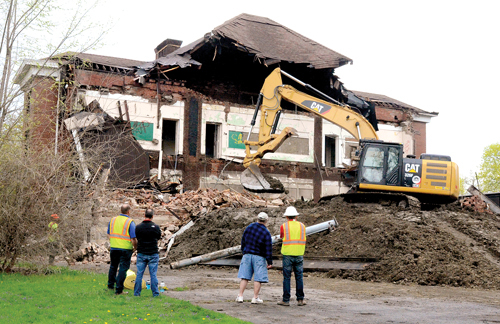 It was purchased with seven other hospitals — Trumbull Memorial and Hillside Rehabilitation in Trumbull County, Sharon Regional Health System and Easton Hospital in Pennsylvania, as well as Wuesthoff Medical Centers in Melbourne and Rockledge, and Sebastian River Medical Center in Florida. Steward Health Care Systems stated the company is closing the area’s oldest hospital because Northside Regional Medical Center has been chronically under-utilized. The hospital lost approximately 71 percent of its patient visits over the last 10 years, according to Knell. Youngstown Law Director Jeff Limbian said the city collected about $900,000 in direct income taxes from Northside Regional Medical Center last year. He said the city has not estimated the number of jobs that may be at risk at companies that supply equipment and other services to Northside but are not part of the hospital system. Limbian said Youngstown Mayor Jaemal Tito Brown Jr. was out of town Wednesday and is expected to reach out to the hospital chain when he returns. The job losses could affect Youngstown and other area residents ability to rent apartments, pay mortgages and take care of the basic needs of their families. “While we know we have other hospitals in the area, there are patients that used Northside,” Limbian said. Property tax revenues collected from Northside Regional Medical Center in 2017 were $428,918.57, according to Bill Nicholas, chief appraiser of the Trumbull County Auditor’s office. “The company’s property taxes are up to date,” Nicholas said. “As long as the owners continue to maintain the property, not allowing it to fall into disrepair, its valuation should not experience a significant reduction. The Liberty Local School District receives between 60 to 65 percent of the property taxes collected. Liberty Township gets a smaller amount. Regional Chamber President James Dignan said the chamber will work to begin marketing the facility as it would any other large complex. Other township and Youngstown officials said they were dismayed and disappointed but not shocked that Northside will close. Clebone described working as a regional economic development director for former Gov. Ted Strickland when there was fear the hospital would be closing. Liberty Administrator Pat Ungaro said the village knew the hospital’s patient population had declined in recent years but had hoped it would be able to attract a buyer to take it over. Ungaro said he is willing to work full-time with Youngstown city administrators, the Youngstown Warren Regional Chamber and others in an effort to find a new tenant for the hospital’s facility.